Whether you are looking for fun fast cruising and watersports or pottering about with family and friends, these boats really fit the bill. Sensible cabin layout with full heads and shower and sleeping for two plus a child. Quality popular Italian, this one with new engines at a fraction of cost new. 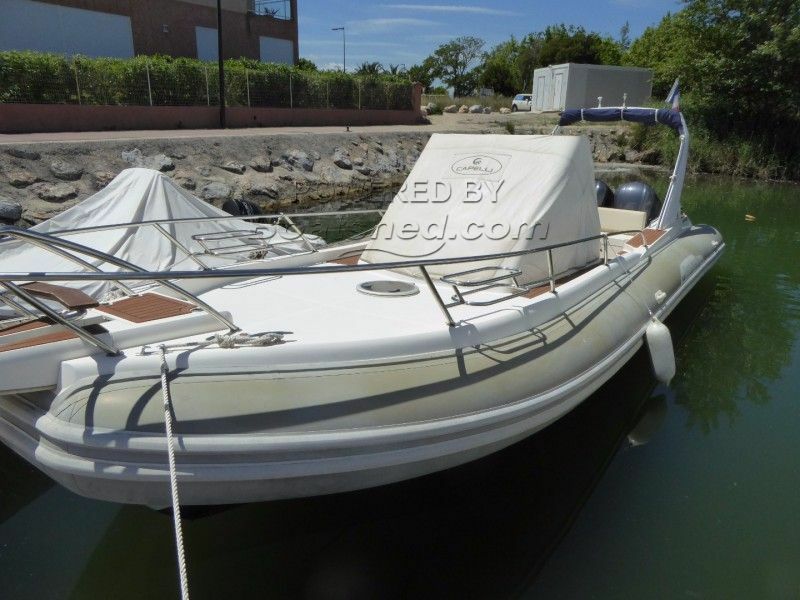 The owner has chosen his new boat and is very keen to sell. More photos to come when the boat is back in the water. This Capelli Tempest 1000 has been personally photographed and viewed by a representative of Boatshed Sud Med. Click here for contact details.